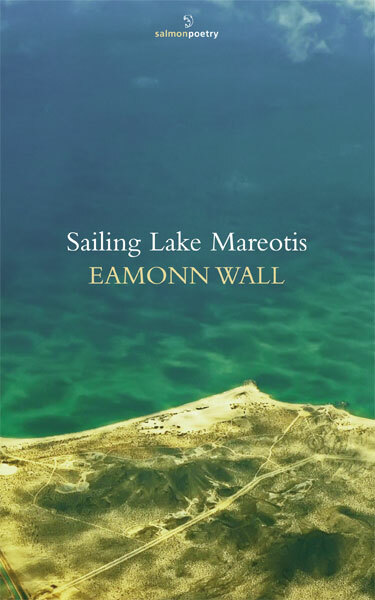 Navigating back and forth between cities and rural spaces, America and Ireland, the ancient and modern, the classroom and home, Eamonn Wall’s new collection presents a many-sided exploration of a fine and fractured world. A centerpiece of Sailing Lake Mareotis is “Actaeon’s Return,” a reworking of Ovid set in a nightmarish Ireland of the future. In a gathering of lyrics, sequences, satires, and flash-fictions, Eamonn Wall explores intricate ways in which contemporary attitudes and practices honour and defile what has been inherited from the past. A native of Enniscorthy, Co. Wexford, Eamonn Wall was educated at University College Dublin, the University of Wisconsin-Milwaukee, and the City University of New York, where he received a Ph.D. in English. 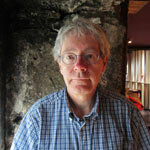 Eamonn Wall’s poetry and prose have been included in anthologies in Ireland and the United States including The Book of Irish-American Poetry from the 18th Century to the Present; Irish Writing in the Twentieth Century: a Reader; Wexford Through its Writers; Flood Stage: An Anthology of St. Louis Poets; and The Big Empty: Contemporary Nebraska Nonfiction Writers. Essays, articles, and reviews of Irish, Irish American, and American writers have appeared in The Irish Times, New Hibernia Review, Irish Literary Supplement, The Washington Post, Chicago Tribune, South Carolina Review, and other journals. Through his involvement in the Launchpad and Scallta Media initiatives, which he helped set up to encourage the development of young writers and artists in Co. Wexford, he has continued to play a role in the artistic life of Co. Wexford. Eamonn Wall lives in Missouri, where he teaches at the University of Missouri-St. Louis. Eamonn Wall’s website is www.eamonnwall.net. foot and yard to my front door. swing homeward, as if immortal. by an old sun falling away to the Blackstairs’ mast. and breathe, the road bends over the humped bridge. A petrol station, Wexford flags, and the Parkside Bar. So then! The road straightens. The car picks up speed.